Ceremonies Saturday marked the Eastland disaster that happened 100 years ago. 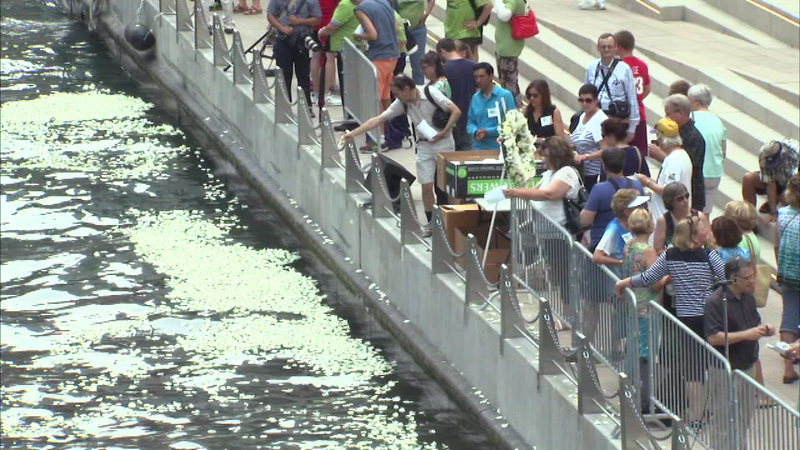 CHICAGO (WLS) -- Ceremonies Saturday marked the Eastland disaster that happened 100 years ago when the top-heavy ship rolled over in the Chicago River back on July 24th, 1915, killing 844 people. Saturday morning, relatives took a private cruise, boarding the exact spot where passengers of the Eastland did. One relative told how her mother, age three at the time, survived. "She survived by hanging onto her father's neck for dear life," said Carol Gilchrist. "What did she see? What did she hear during this horrific time?" A sunset ceremony took place on the riverwalk Saturday night, when 844 candles were lit, one for each of the lives that were lost.